Guest post: Patricia J. 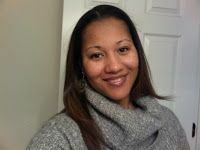 Brown, @msEdtechie, is a Technology Specialist for Ladue School District (MO). Do your students access the Internet in your classroom? If your answer is yes, you should be teaching Digital Citizenship. The social media realities for our students are why we need to have classroom teachers continually talking about digital citizenship throughout all aspects of the curriculum. It can no longer be a one-stop shop, a short lesson at the beginning of the year by the technology specialist, or a handout to send home to parents. The focus should be on learning and not on punishing. It's better to be proactive then just reactive. It's okay to have learning conversations when students do something inappropriate, because when we take away their technology, what exactly are we teaching them? Digital Citizenship must be taught explicitly and should be taught throughout the experiences our students are having. There are so many resources available to help educators and students navigate through this together. Depending on the age of the student. Check out Google's Be Internet Awesome , Common Sense Media, and Netsmartz.